Autumn is upon us and outlet centres are now springing up like mushrooms everywhere. Until recently they were only built in conurbations, as this seemed to be their ideal location. However, as the retail market matures, developers have decided to test out the waters elsewhere and see how such centres would fare in smaller towns. All of this is part of a growing trend for fast, efficient and convenient shopping in Poland. And as it turns out, Poles have fallen in love with cheap stores, sales, promotions and all kinds of discounting. However, in order to make sure these centres are attractive to shoppers, these developers have opted to mix up the tried-and-tested outlet centre format up a bit. As a result they have created hybrids that combine a regular range of retail with brands selling products at reduced prices along with catering and entertainment. Although these developers are still referring to such buildings as outlet centres, the question arises as to whether what we are witnessing is the emergence of a totally new kind of retail format. Outlet centres are generally medium-sized buildings of about 12,000 sqm to 30,000 sqm where the number of tenants ranges from 50 to 120. Originally outlets focused on fashion, in contrast to having the range of other services that can be found in regular shopping centres (restaurants and entertainment) – hence the simple internal layout in these typically one-storey buildings. These centres feature tenants that have outlet format stores of their own, through which they sell the ends of collections and surplus stock. In Western Europe the emphasis in such centres is based on a tenant mix of luxury or so-called premium brands. Luxury brands, however, are difficult to introduce to Poland due to the small number of similar chains operating on the domestic market. The pricing policy in outlet centres depends on their operators, but generally the reductions should range from 30 pct to 70 pct of the regular price. This is one of the basic characteristics of outlet centres. There should also be a large, convenient car park. And outlet centres need to have a much larger catchment area than a typical mall. They therefore attract far more customers than the average shopping centre and these visits are more often planned in advance. “There are currently 15 outlet centres across Poland with a combined area of 268,000 sqm, which is less than 2 pct of the total modern retail space across the country. This proportion has been stable for several years, despite being the latest retail concept in Poland. The first outlets were created at the beginning of 2000,” explains Magdalena Sadal, the director of the retail research and consulting department of consultancy Cresa Polska. At that time, there were two specialists in this segment, Neinver and The Outlet Company, and together they introduced the format to the Polish market. Developers chose the largest cities as the best locations: Warsaw, the TriCity, Poznań, Wrocław and Kraków. It is only now that this situation is starting to change. Existing outlet buildings are being modernised and redeveloped, enabling them to open extended food & drink and entertainment zones. And in the meantime, new outlet centres are being developed in smaller cities and towns. At the beginning of 2000, outlet centres in the largest cities (with more than 400,000 inhabitants) accounted for 75 pct of the area of such centres across the country, whereas in 2017 the figure had fallen to 55 pct. Often, but not always, the opening of a new centre involves the rebranding of a mall that has failed to live up to the expectations of its owners and so it is given a second chance by being converted into an outlet centre. Those willing to invest in outlets are not even being deterred by the recently introduced limitation on Sunday retailing in Poland, which will eventually become a total ban in two years’ time. “The Act should not be an obstacle to investors on the commercial real estate market because, as the statistics show, e-commerce has not been showing any spectacular growth. And this was supposed to be the answer to non-shopping Sundays. Outlet centres will not decrease in value in the future because customers and managers are increasingly learning how to manage better in this new environment, although due to these new regulations and the market saturation decisions to invest in outlet centres and regular malls will certainly be analysed in more detail and taken more prudently,” claims Magdalena Chachulska, the asset management director at Neinver. All the time more new centres of this type are being constructed outside the largest cities. 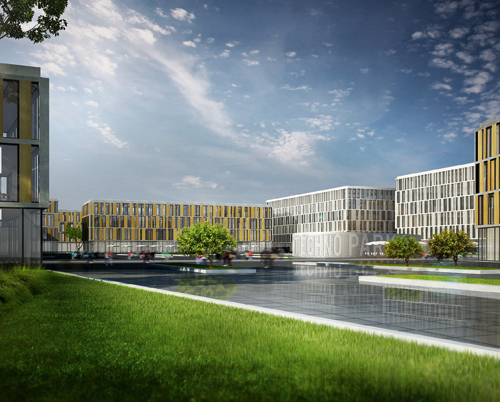 The smaller cities and towns that developers have so far picked include: Białystok, Lublin, Bydgoszcz, Rumia and Rzeszów. This, in turn, raises the question of the existing demand: is the development of outlet formats just a niche activity? Magdalena Chachulska of Neinver, one of the pioneers in the development of outlet centres in Poland and Spain, points out that the outlet format is still a good one for investors and developers. However, the company is not currently planning any new centres in the country and is focusing instead on redeveloping and modernising its existing Factory centres. “The large number of regular shopping centres in Poland, including in smaller towns, provides favourable conditions for outlet centres. It makes it worthwhile to send the collections left over from regular retail to a new place, such as an outlet centre. However, these decisions should be made very carefully, as is the case on more developed Western European markets,” she says. Other market players are joining in as they become aware of the trend to build more outlet-type centres. “The research clearly highlights the growing purchasing potential of Polish consumers, which is undoubtedly due to the relatively strong economic growth and the situation on the labour market –where unemployment is still falling and salary growth is faster than last year,” notes Łukasz Śliwa, the director of the expansion and development department of Metropolitan Investment, which bought the Metropolitan Outlet centre in Bydgoszcz from Carrefour Polska earlier this year. “We can see the potential of outlet centres in towns with more than 150,000 inhabitants, which is why we decided to buy the project in Bydgoszcz,” he emphasises. Retail Management (which operates three outlet centres under the Smart Outlet Center brand in Białystok, Lublin and Bydgoszcz) also believes that medium-sized cities are ideal locations for these centres. “The most important thing is securing the right tenants to have a tenant mix that is effective in a given consumer environment. Our experience shows that consumers from smaller locations spend as much in outlet centres as those from larger conurbations. 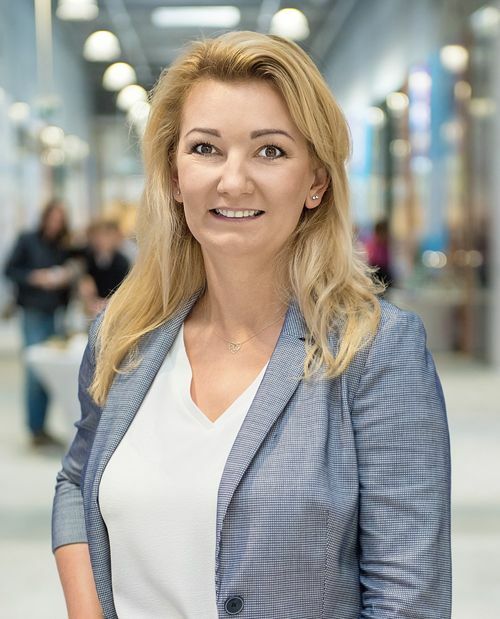 The only conclusion that can be drawn is that outlet centres should be equally available in these smaller locations,” claims Magdalena Bandurska, the director of the outlet division at Retail Management. Both Metropolitan Investment and Retail Management have only entered the outlet centre market recently. However, both companies say they intend to furher invest in this segment. “Having seen the potential of this type of centre and of new locations, our plan is for this concept to play a greater part in our portfolio. Next year we aim to open two new outlet projects, ranging from 12,500 sqm to 19,000 sqm. 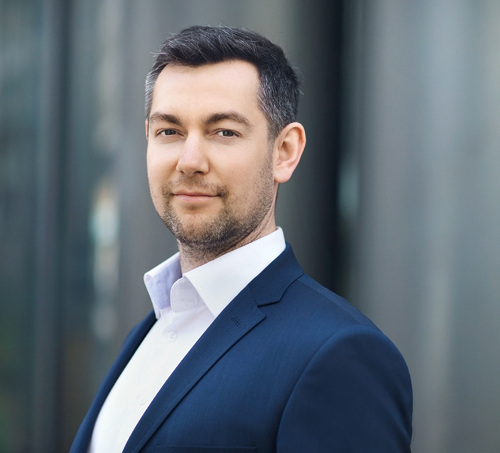 And there are two more in the preliminary contract stage,” reveals Łukasz Śliwa of Metropolitan Investment. 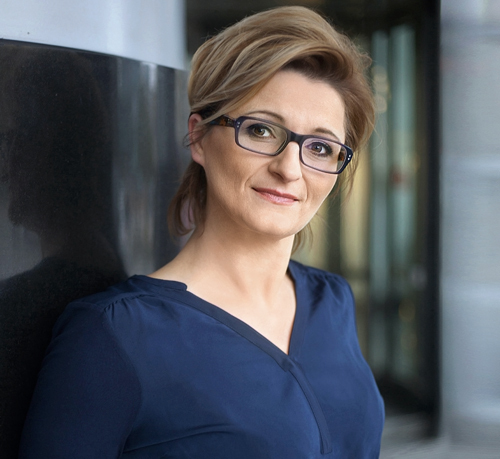 According to Magdalena Bandurska, Retail Management is considering an outlet centre in Warsaw. Retail Management, which has developed its Smart Outlet Center chain from scratch, has also taken on board the fact that outlet centres are beginning to mutate into convenience centres with a wider selection of brands. As a result, the centres of this chain will combine different price offers under one roof. “Our trademark is a mix of typical outlets and regular stores. For example, in Bydgoszcz 80 pct are outlets and the remaining 20 pct include Rossmann, Martes Sport and CCC. Some centres that have opened or are going to open as outlet centres are conversions from typical shopping centre formats. This is the case in Kraków, where the former Plaza Kraków is undergoing such a transformation. After the work is finished, it will be given a new name, Fashion Outlet Kraków, as well as an expanded entertainment zone including a cinema, a fitness club, a bowling alley and a food & drink section. There will eventually be more than 100 fashion and lifestyle brands selling their products at prices that are 30–70 pct lower than in traditional shopping centres. The completion of the work and the opening of the reconstructed building are scheduled for autumn 2019. The concept is being developed by PRÔM Peakside ROS Outlet Management. There are many more examples. Galeria Podlaska in Białystok has been operating as Outlet Białystok since 2014. The former Galeria Graffica in Rzeszów became Outlet Graffica in 2017 after 15 years as a shopping centre. 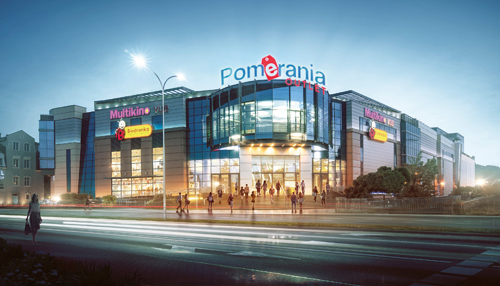 Two more examples are the Glinki shopping centre in Bydgoszcz, which Metropolitan Investment will transform into Metropolitan Outlet, and Galeria Rumia in Rumia, which is to become Pomerania Outlet in the future. “Companies that have not operated with this type of retail space so far have only recently started opening such centres in smaller cities and towns. Their formats differ from those of classic outlet centres,” says Magdalena Sadal of Cresa Polska. The differences are significant, starting from the tenant mix, to the appearance and function of the building. “Traditional outlet centres are dominated by fashion at factory prices, but the grocery anchor usually continues to operate when shopping centres are converted into outlet centres, which means that they are a hybrid of two forms – a mall and an outlet centre. When it comes to the tenant mix, this also differs from typical outlet centres dominated by premium and sports brands. In outlet centres in smaller cities there is more space for local players and discount chains,” explains Cresa Polska’s retail research and consulting department director. “In Pomerania, we are combining the functions of an outlet centre with those of convenience stores and an extensive entertainment and food & drink range. The existing tenant mix will be supplemented and adapted to market trends and consumers’ expectations, and it will be extended to include stores of other recognisable brands already operating on the Polish market as well as new retail chains just entering Poland. The outlet section will be based on the reorganisation of some of the stores of existing tenants and the introduction of new Polish and global fashion and sports brands,” reveals Radosław Gadomski of Pomerania Outlet. Developers have also found new ways of adapting the layouts of their buildings in response to this new trend: in Metropolitan Outlet, space on the first floor of the building will be made available for offices and warehouses; while the upper floor of Pomerania Outlet will feature an extensive entertainment and restaurant zone,” says Magdalena Bandurska of Retail Management. Neinver has also been making such changes, and thus improving the standard and service of its centres. “We are investing in refurbishing our interiors and providing an additional product range. We have opened a food court in Kraków as well as green relaxation zones with charging points for mobile devices. Rooms for parents with children, special parking spaces for families and play areas are already standard in our centres. We have also introduced city bike stations at our centres and minute-based car rental. Outlet customers are becoming more and more demanding, so this is the direction centres have to develop in,” claims Magdalena Chachulska. Magdalena Sadal, the director of the retail research and consulting department of Cresa Polska (left).